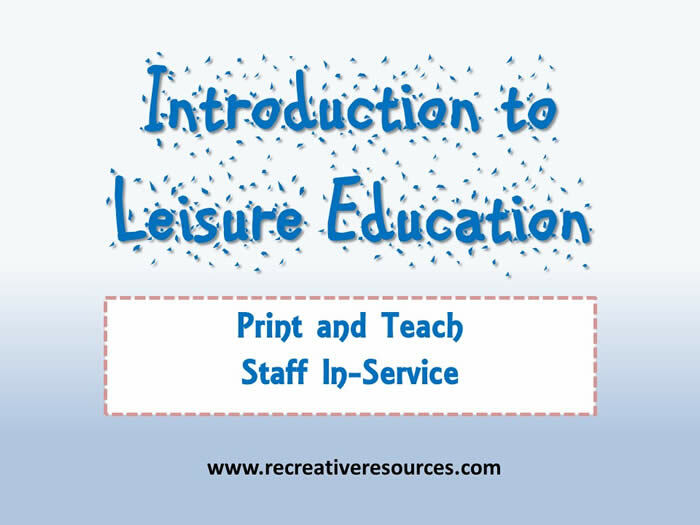 Providing employee training is a crucial responsibility of a Recreation or Activity Director. 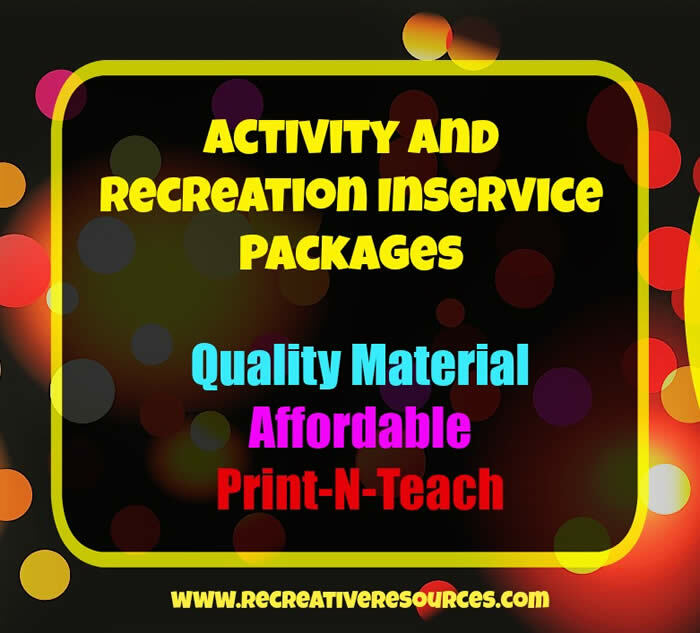 The following are inservice packages that allow the Recreation/Activity Director or Supervisor to provide high quality inservices for Activity/Recreation staff as well as the facility staff. 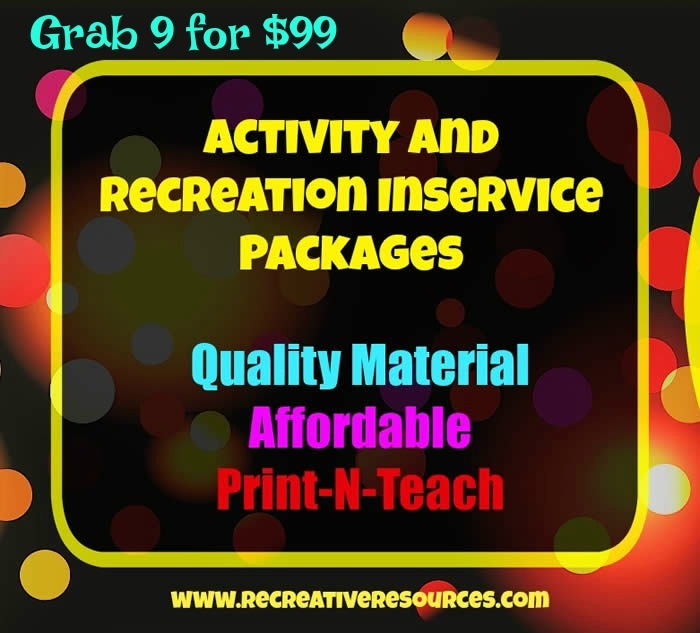 Each PDF inservice comes with a handout, teacher's outline, certificate of attendance, inservice sign in sheet, flyer to announce the inservice, an interactive exercise, and an inservice evaluation form. 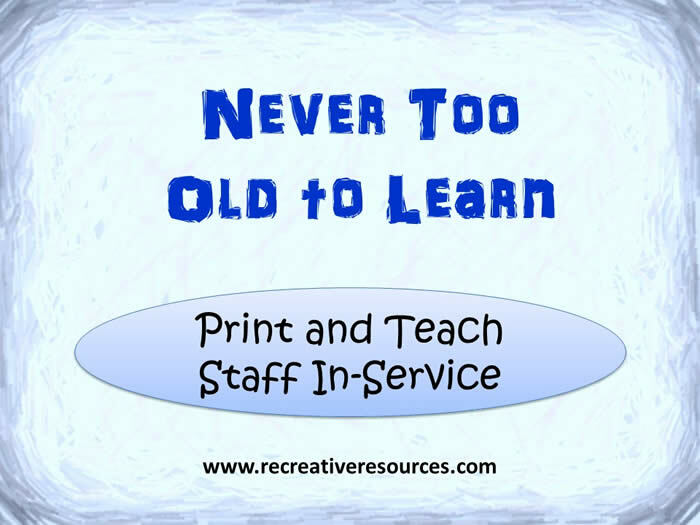 All you need to do is print and begin training! Important note: These inservices are not pre-approved homestudy classes for NCCAP continuing education. 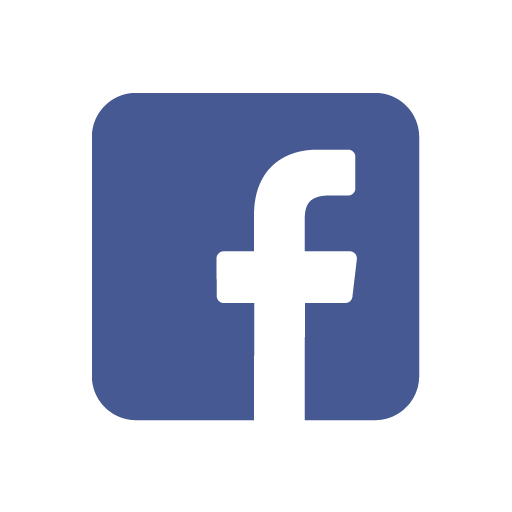 They are intended to be used as staff inservices for in-facility training. NCCAP does, however, accept a certain percentage of in-facility training to go toward continuing education, so please reach out to NCCAP to learn more about that. Before purchasing below, check out the inservice bundle deal. You can get all 9 standard inservices for only $55! That's huge savings! Click here to learn more and grab this amazing bundle! *identify residents who would benefit from sensory stimulation. *discuss and utilize at least one facilitation technique for each sense. *recognize resident responses to various forms of stimuli. *identify at least 10 educational activities for the elderly in the long term care or other geriatric setting. 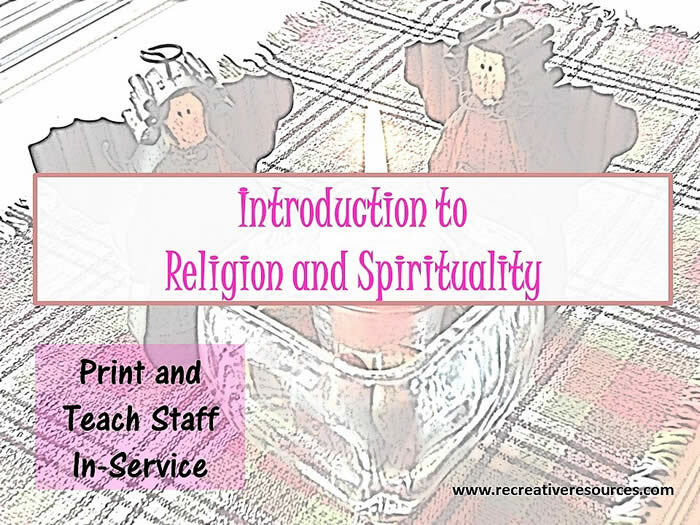 *state at least 5 benefits of religion and spirituality programs. *name at least 5 religious activities and 5 spiritual activities. 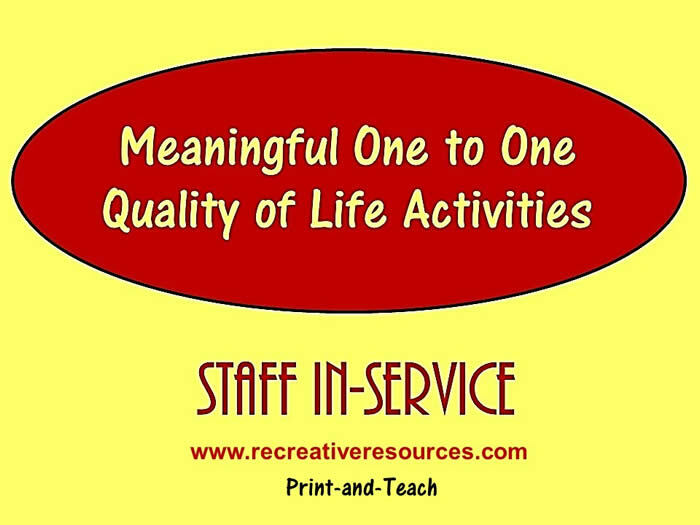 This 60 minute introductory in-service is designed to assist the Recreation/Activity Director, or Staff Educator in providing an overview of Humor Therapy as utilized with older adults and elders. SPRING TRAINING SALE - Grab 9 STANDARD inservices for only $55 ($99 regular price) HUGE SAVINGS! Click here to learn more about this special offer or buy now below.